[This Document is the Property of His Britannic Ma.ipst.v'g Government. , v ASIATIC TURKEY AND ARABIA. 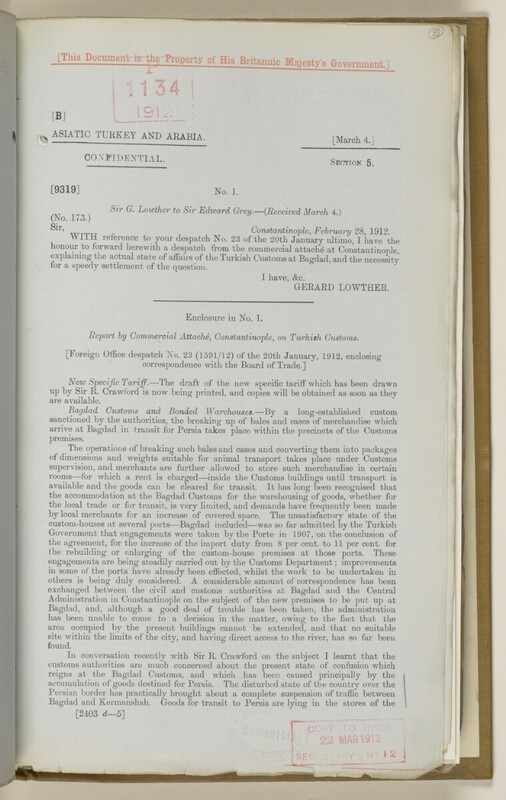 ^ r > Constantinople, February 28, 1912.
tor a speedy settlement of the question. Enclosure in No. 1 . Report by Commercial Attache, Constantinople, on Turkish Customs.